VOLOOM, the first hair volumizing iron that was designed specifically to add volume to your hair while saving you time. The secret to VOLOOM is in the patent-pending plates. Used in the hair nearest the scalp, VOLOOM creates hidden volumizing structure in the under-layers of the hair, lifting the top layers up and away from the scalp. With VOLOOM you can easily go extra days between washing your hair, saving you the time and hassle of daily shampoos and blow dries. Honestly, I was skeptical of VOLOOM. Could one hair tool give me real volume? As someone with straight hair, I have tried getting a perm because I wanted the volume and the look of fuller hair. I have also used other tools to curl my hair but they can be ttime-consuming I am a busy mom. I get up early just so I have the time to put on my makeup. 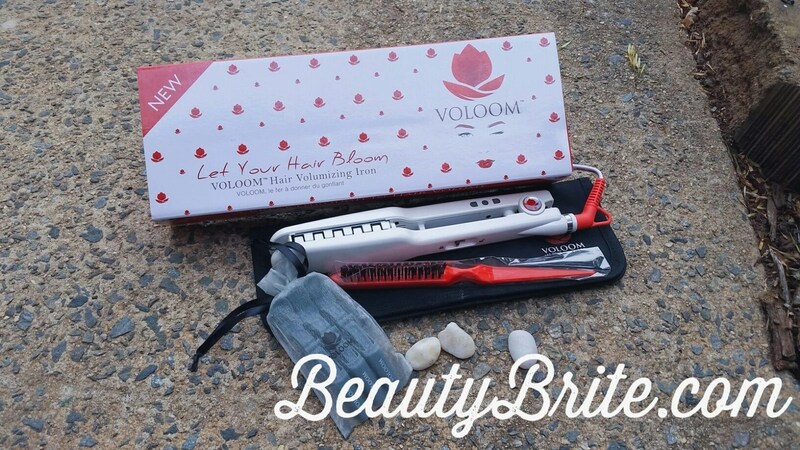 The VOLOOM Hair Volumizing Iron and Accessories Kit contains: Hair volumizing iron, Sectioning brush and 3 hair clips. I found the kit to be very helpful when using the hair volumzing iron. 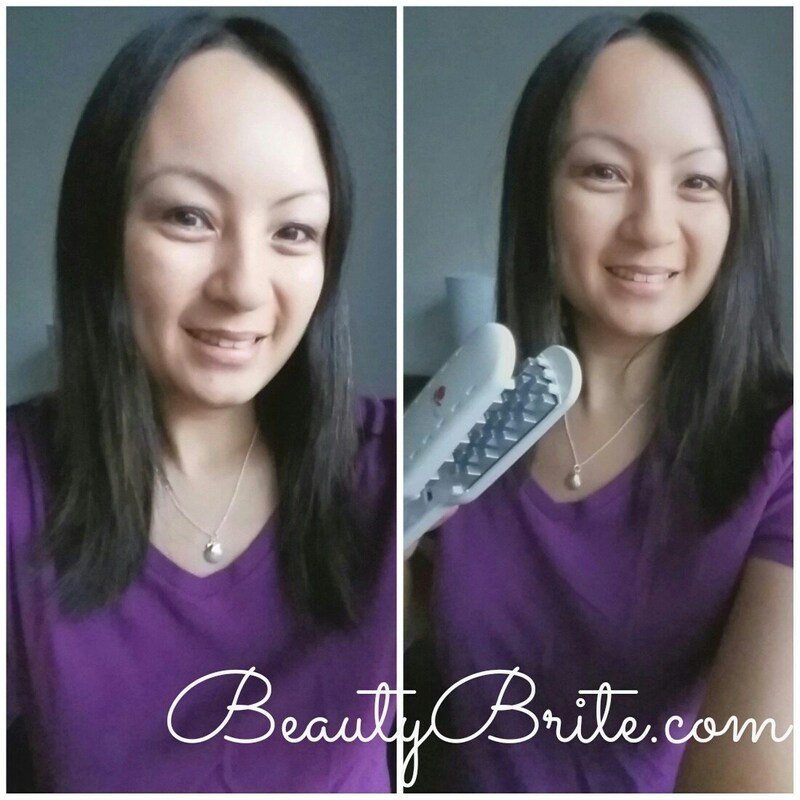 The sectioning brush helps part my hair and the hair clips help my hair clipped away as I use the iron. I am the type to just brush my hair in the morning and get going. I rarely take the time to section my hair to actually style my hair, so the accessories are perfect for the novice like me. 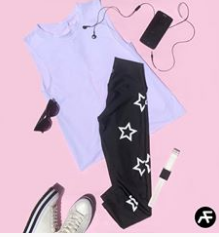 I found VOLOOM extremely easy to use. The iron heats up in about a minute or so. There is even a locking mechanism that keeps the iron closed so you can keep it in the pocket within the case. I love the carrying case. 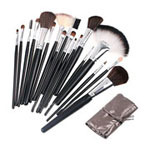 The iron and accessories kit is perfect for travel if needed. The case keeps everything in one place. Not only that, I found using the iron so much fun! I can customize how much volume I want in my hair. I only do two or three layers on each side. I am still learning and hope to add even more volume as I get used to using VOLOOM on my hair. Of course, I have only used the hair tool a few times, I am learning each time I use it. Since it only takes minutes to use, I can easily use it every day! © 2015 – 2017, Beauty Brite. All rights reserved. I, too, have straight hair which I think needs more volume. I try drying my hair upside down but it doesn’t work very well. Maybe this tool could help. This sounds like something I’d love for those “2nd day after shampooing” limp hair days! I should try it. I have straight hair too! It is funny that those with curls want straight hair. Those with straight hair want curls?? Great ideas! I live in Oregon and my hair can go straight no matter what I do with it if it is rainy and damp. thanks for sharing! I have been wondering about hair tools like this one. Thanks for the review, very helpful. Thank you for the review. By the way, your hair looks great in both the before and after pics. I have heard using dry shampoo (even on clean hair) can add volume. Looks like a great product my gf would appreciate,but not so much me lol. I’ve never seen this before. It is so cool! I’m glad I saw it on your hair first, as it looks a little scary! I have got to try this asap. I am always looking for the next best volumizing product and this sounds like it could be my answer. So glad to hear about it. I really love this tool. I think it would help my fine lifeless hair! I have straight hair so I use BedHead volumizer to lift up my hair and then blow dry. It does the trick! Thanks for the comment. If you are entering a giveaway, you may want to read the post again. Many of your comments do not qualify as valid entries. What a great tool. Anything that adds volume is something I definitely need! Thank you for sharing. I need more volume also. I hate the way my hair is at times. The VOLOOM looks great! I have long, fine hair that deflates quickly, and I’m also a novice when it comes to styling tools & skills. Really appreciated learning about this & will have to check it out!